Can PPC Work For LinkedIn? Home » Can PPC Work For LinkedIn? LinkedIn is a great platform for generating business, especially for those organizations that are B2B businesses. LinkedIn has a Pay Per Click (PPC) platform. However, many people wonder how efficient LinkedIn can be when a businessman wants to grow his PPC program. Can LinkedIn make a significant contribution in PPC related activities? 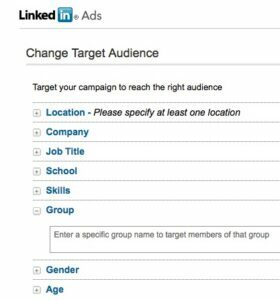 For B2B advertisers targeting a specific audience, LinkedIn Ads can work wonders. They can add up to 20% of a PPC program’s conversions while adhering to target efficiency metrics. LinkedIn is a simple platform. The advertiser interface is intuitive as well as user-friendly. It is even easy to access multiple advertisers through one LinkedIn account, like with an AdWords MCC account. While using LinkedIn, advertisers can navigate to www.linkedin.com/advertising and then click “begin” to create an ad campaign. For example, imagine that you want to target 2 groups of folks – financial analysts and project managers working in the financial industry – and you want to tailor your messaging as well as your landing page to each group. In AdWords you might do this with ad groups, with LinkedIn you will want to use separate campaigns, each with its own targeting and ads. You can target by demographic factors like geography, age, gender, skills, job title, seniority, company size, and industry, and you can see audience size as you add new targets. In AdWords, not only you can test multiple ads, you can even opt to have ads rotate evenly or rotate based on Click-Through Rate (CTR). You can also choose to point users to one of your company pages on LinkedIn. 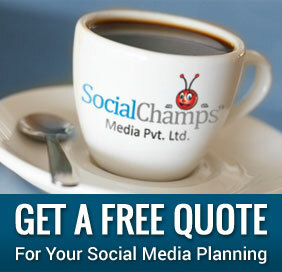 It is good to upload a 50×50 pixel image to accompany your ad. This size is small. Therefore, it is good project a logo. Once you have created your first campaign, you can duplicate it and then just change targeting and ads. That is it! You are done! Can I check the performance of my LinkedIn Ads? LinkedIn advertising does not offer conversion tracking. Therefore, you should remember to tag your destination URLs appropriately. Tag that URL which is the best page on your website and most relevant to the ad. People clicking on your ad should find that on the landing page for which they clicked the ad. Syncing LinkedIn with Google Analytics or some similar tool can help you to see LinkedIn Conversion. Are you an advertiser? In order to add a user to your (LinkedIn Ads) account, you need to create a LinkedIn business account. Business account will give you the ability to share access. Once you do this, you will see a ‘users’ tab appear in the interface, where you can add users. Hence, LinkedIn Ads should be targeted to business audience. Now you should be convinced that PPC do work with LinkedIn. If you want to share something with us or ask us something, post your comments.